These are windshield wiper men or boys, or call them car window washers or squeegee men. They have surfaced in the last few years at petrol pumps or gas stations in India. It is a free service. They don't charge you but if you tip them they won't refuse. This free service is being provided at some petrol pumps. Luckily they don't bother you at traffic signals like in some other countries. 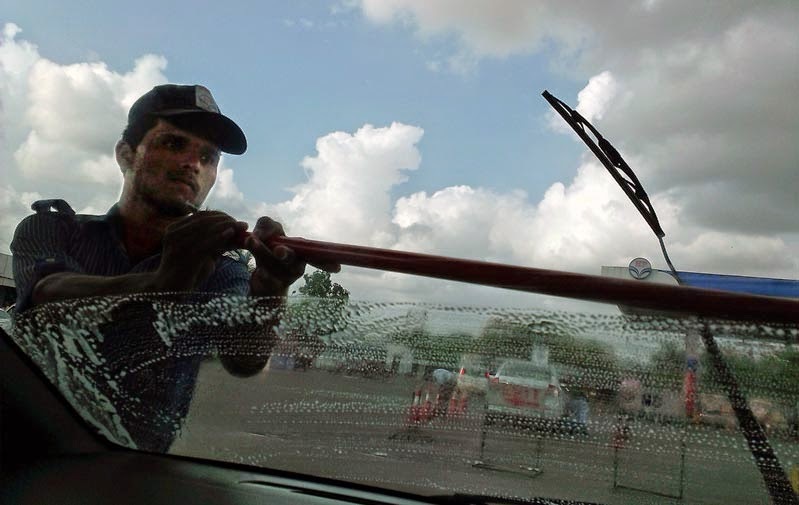 I guess in India it won't work - people will get their windshield cleaned but refuse to pay! 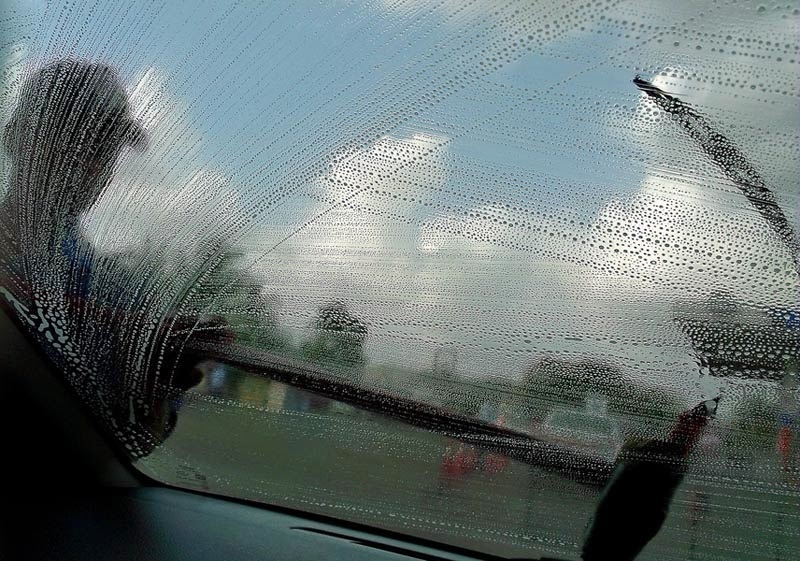 A car windshield lathered with soapy water. 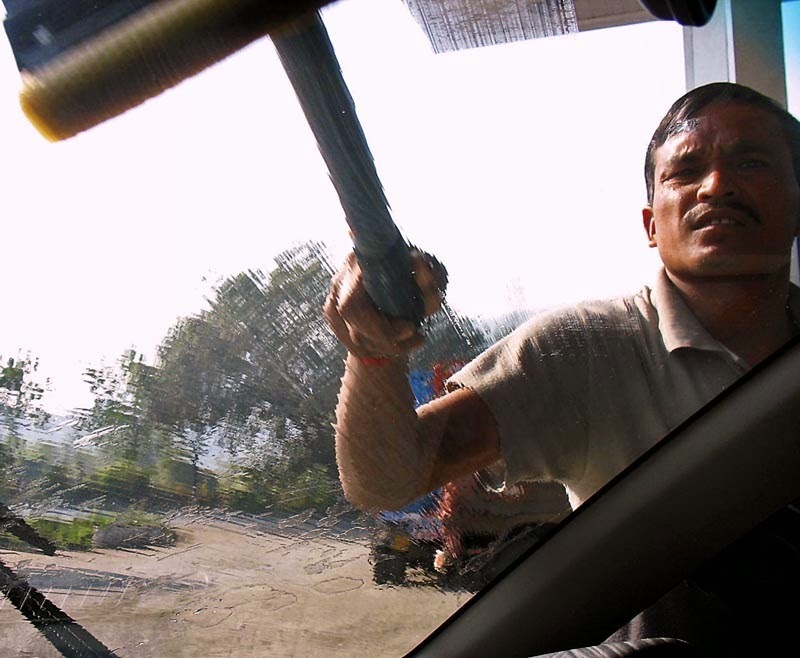 A man wiping the car windshield clean. Here is his face which is visible now. A long handled sponge or squeegee is what he uses. Here is a photograph of another windshield wiper man or car window washer. 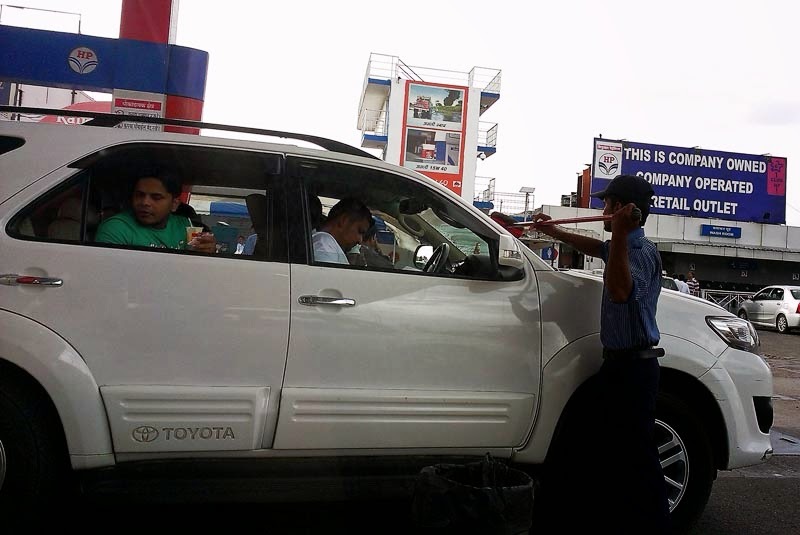 A man washing the windscreen of the cars at petrol pumps. An employee of the petrol pump or gas station.